A wonderful mixture of all the textures. Many of them in just one piece of jewelry. 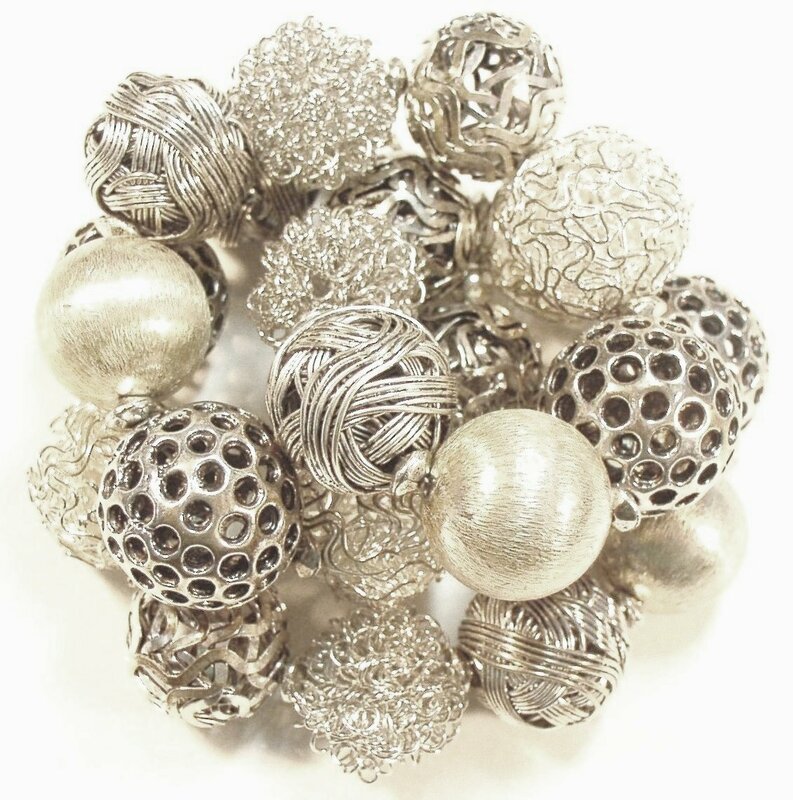 Corrugated beads of all sizes, brushed, shiny, antique finished, twisted wire and gunmetal finish. Most of the beads are a plated base metal of brass. This collection is the smart shopper's collection of luxury at an affordable price. Antique Silver and Silvertone Coil Bead Necklace. Large Silver Foil Bead with Mixed Silver Bead Necklace.